Whatever type of business you work in, the appearance of public, private and open plan spaces has a profound effect on customer and staff perceptions. Flooring in particular can have a significant role to play. While a carpet’s durability simply has to handle the footfall, look and feel needs to reflect your business brand and core values. At the same time, it has to be easy to clean and the price needs to be right. 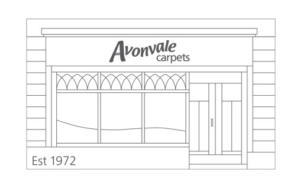 Offices, shops, restaurants, communal halls and landings, for every kind of business in fact, Avonvale Carpets, Bath has supplied and fitted flooring throughout the Bath and Wiltshire region for more than forty-six years. We apply the same exacting standards to our commercial flooring work as we do to our domestic work. Applying our knowledge and expertise, we’ll recommend the options that’ll work best for you, those that will last, those that will help reduce wastage and cost. We’ll even complement the colour of a logo. Wool, natural, stain resistant, a bespoke design even, Avonvale offers a choice of quality carpets for commercial settings that’s hard to beat. However complex or versatile your room layout, we’ll supply and fit flooring that works for your business. And we’ll keep any disruption to your business to the absolute minimum. If your business can’t shut down, we’ll just work around your working day, as discretely as possible. No radios blaring, no singing and shouting, no fuss – our fitters are trusted and professionally trained.